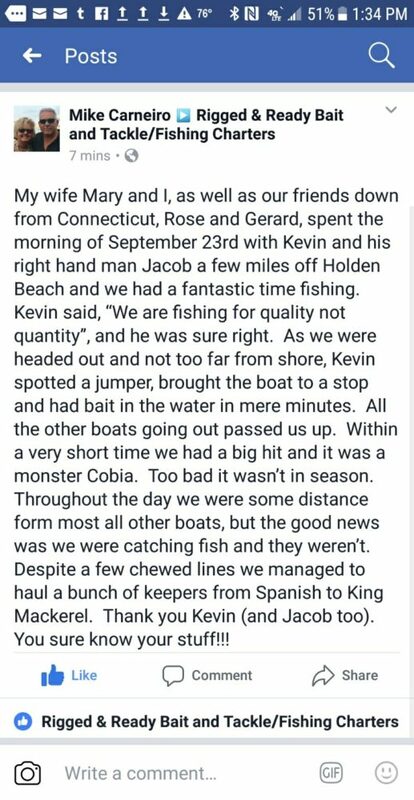 9-26-17 Fall FISHING is Heating Up!!!!!! 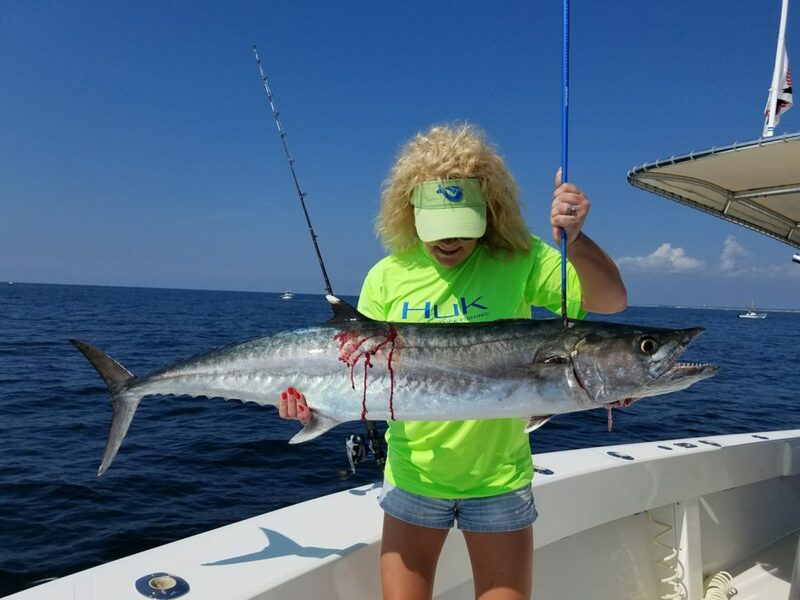 The King Mackerel season is here. Don’t miss out on this incredible fishing. We don’t have to run far off Holden Beach, NC. cause these fish are only a mile or 2 out. 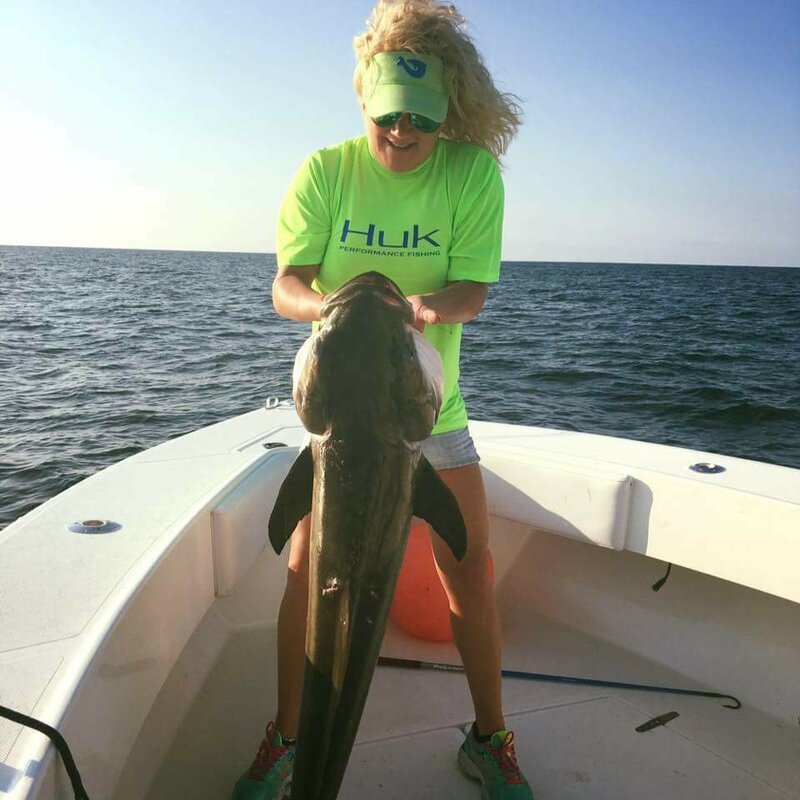 We’ve also been connecting with some very respectable COBIA. 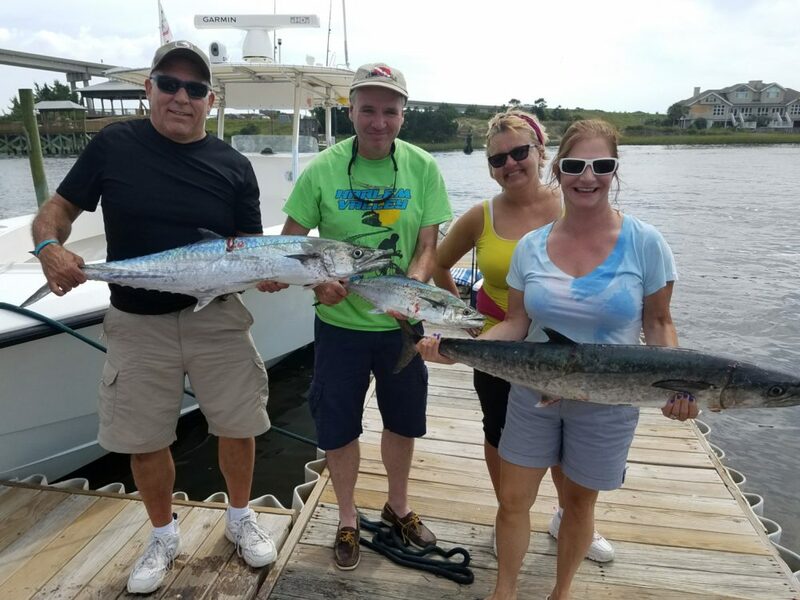 Call 910-448-3474 to book your Holden Beach Fishing Charter. « 9-21-17 Big Kings on the Beach.